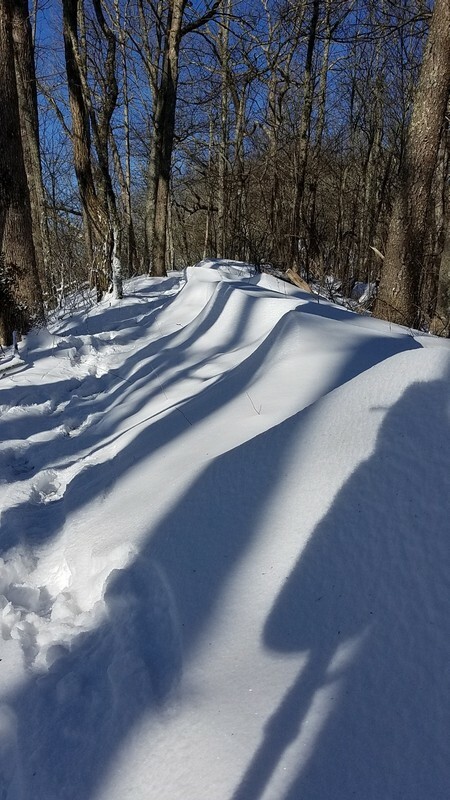 I started following 11 thru-hikers of the Appalachian Trail in February. Each of the hikers began their journey early. Most NOBO thru-hikers hit the trail in March and even early April. I wanted to see how the early birds did on the trail. Were they the birds that caught the worm, or did they become so discouraged by the cold, the snow, the slippery trail, and the loneliness that they exited the path for the more comfortable and less extreme? Statistically, about 25% of all those who attempt a thru-hike of the Appalachian Trail complete the journey. Of the 14 thru-hikers that I followed 5 of them crossed the finish line for a success rate of 35.7%! The summary chart below lists the hiker by his start date, followed by his end date (either the date he came off the trail or the date he summited Mount Katahdin). 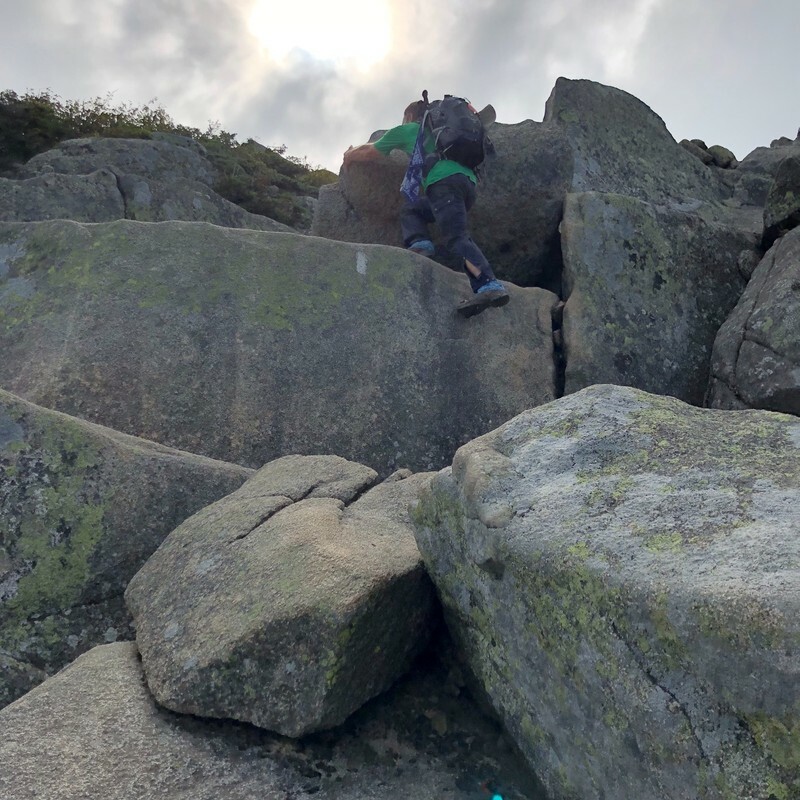 All the successful thru-hikes were NOBO attempts (Northbound: Hiking from Springer Mountain, GA to Mount Katahdin, Maine). The days on the trail ranged from 14 to 233 – ranging from 2 weeks to 7 and a half months. Those that completed the 14-state hike averaged 195 days. (I count myself so very blessed to have completed my hike in 154 days in 2014.) It is not a race (thank goodness) and my admiration with a loud ovation is lifted high to any individual who can conquer the challenges of the trail. So why did the hikers have to leave the trail? There were a variety of reasons given by the hikers on their online blogs. Three of them did not give a reason, but rather just stopped posting their progress. One hiker changed his goal and decided to do a section hike instead. The other five pointed to a physical problem behind their need to exit the Appalachian Trail: one foot, one leg, one severe sickness, one debilitating medical condition, and one stated general fatigue plus his discouragement on his progress. This year’s hike was filled with lots of rain, snow (for these early starters), and slick rocks/roots. It was a pleasure to follow their adventures and I congratulate each and every one of them. 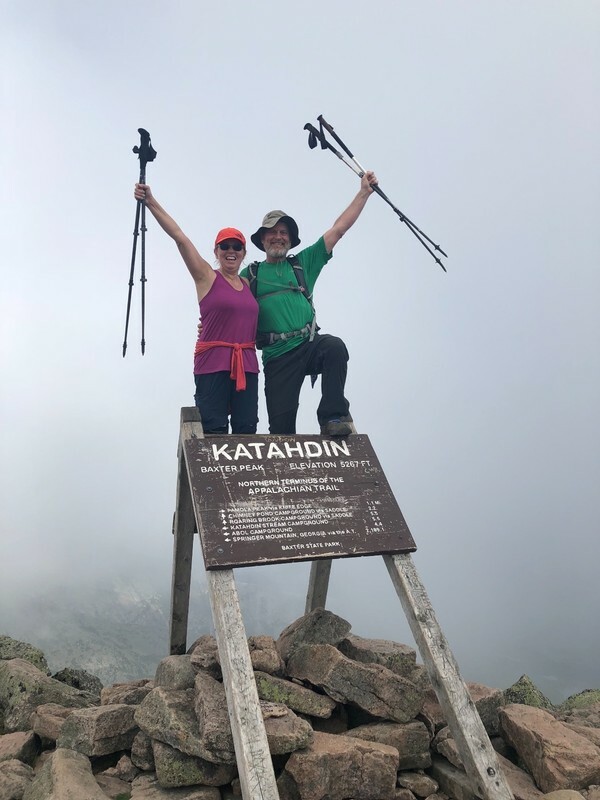 May the Appalachian Trail leave its mark on the heart of each hiker and may the lessons they learned be cemented in the minds for many years to come. Thanks for joining me as we traveled the AT vicariously with these 14 brave, crazy, and bold adventurers of the class of 2018. 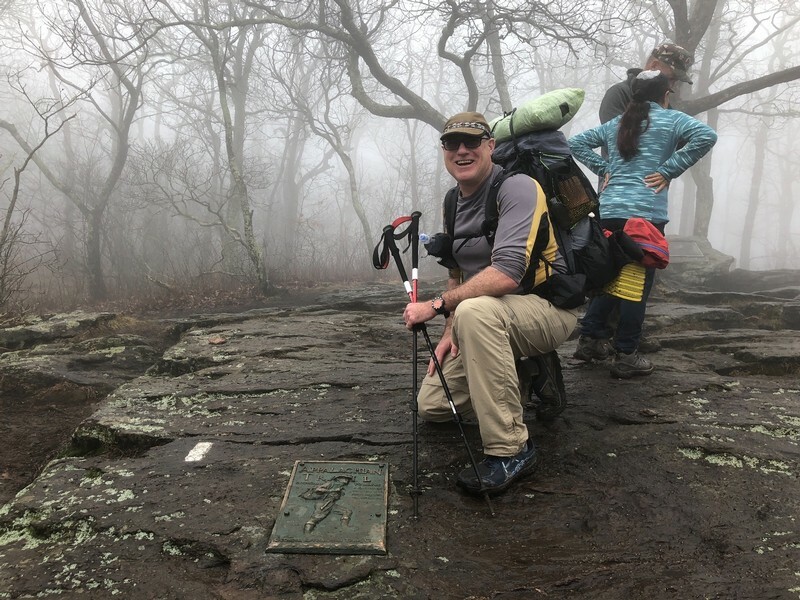 Chip Tillson has completed the last stretch of his Appalachian Trail adventure. On September 30th, Chip and his four hiking buddies (The Four Amigos: Bear, Sassy, Easily Forgotten, and Bunny Steps) arrived in Monson, Maine. They were opening the door into the 100 Mile Wilderness and the final 115 miles of the Appalachian Trail. October 1st was a 10.4-mile journey into the wilderness and Chip found a fairly easy hike filled with meadows and ponds and streams. The group enjoyed lunch beside a waterfall and an inspiring walk along a ridgeline. The threat of rain for Tuesday the 2nd was cause for some concern. October 2nd did not disappoint as a cold and steady rain fell most of the day depleting energy but not dampening the enthusiasm of the group. 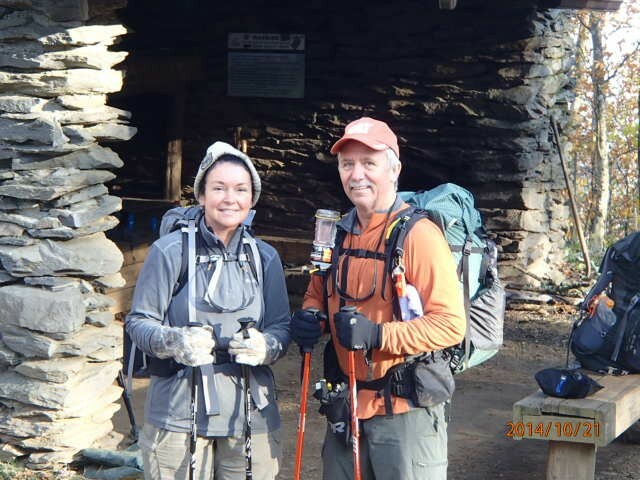 They traveled 8.7 miles and stopped at Cloud Pond Lean-to soaked to the bone. Wednesday, October 3 produced nicer weather and 10.9 miles. With about 85 miles to go, the group began to make plans for the final climb. 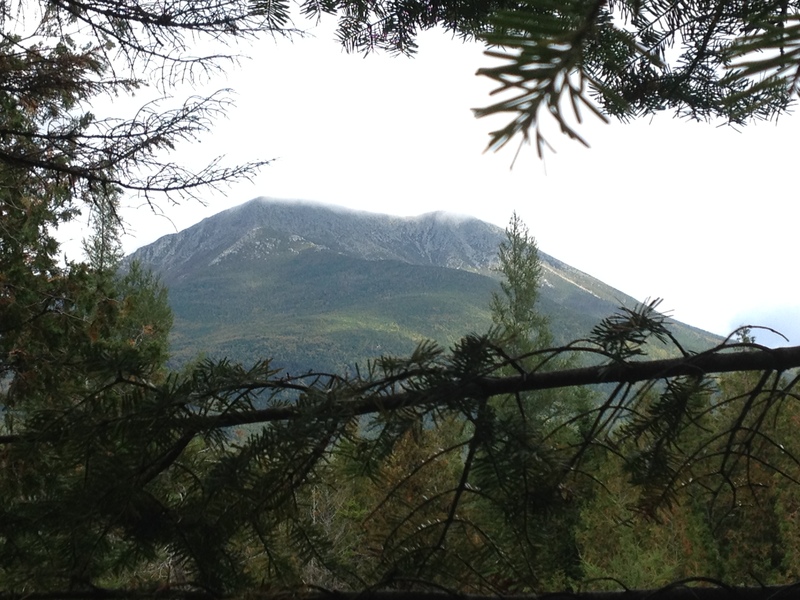 October 4 held the White Cap Mountain, the last major climb until Mount Katahdin. 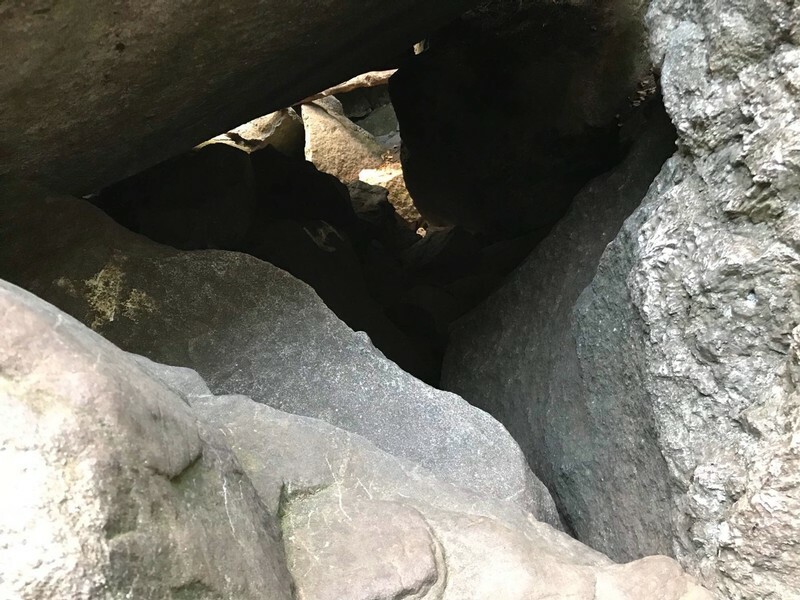 Chip managed to lock himself in a privy when the group stopped for lunch at a shelter and then laughed at himself as he walked into two different trees leaning over the trail during the afternoon. 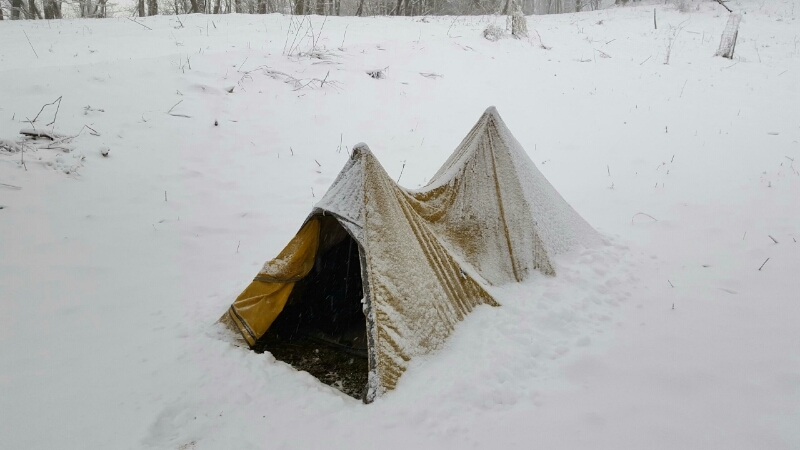 They completed the day at Logan Brook Shelter, sharing the lean-to with two other thru-hikers, putting seven people in a shelter designed for six. October 5th yielded 15.4 miles including a pre-arranged food drop from Shaw’s Lodging in Monson. The on-trail resupply would provide all the food needed for a successful hike through the 100 Mile Wilderness. The group made camp under that stars and planned to hike 10.4 miles on the 6th in order to stay at White House Landing and enjoy a few hours of downtime. October 6th was a crisp and clear day making the 10.4 miles hike to White House Landing very manageable. The group experienced trail magic along the way as Pegamoose, who completed his NOBO thru-hike two weeks ago, drove into the wilderness and provided soda, candy, and apples beside the trail. After breakfast at the Landing, the group continued their journey on October 7th with 45.6 miles to the finish line. The morning was windy and cold, but by noon the sun appeared and brightened the chilly day. Before the day was over the group had hiked 15.5 miles arriving at the Rainbow Stream Lean-to. October 9th involved a relatively easy hike from Abol Bridge to Katahdin Stream Campground, the base camp to the great mountain with the big brown sign. The Four Amigos and Chip went to the ranger station to sign in and receive their official thru-hiker number, Chip was the 1,214th NOBO hiker to make the climb. October 10th – Summit Day! 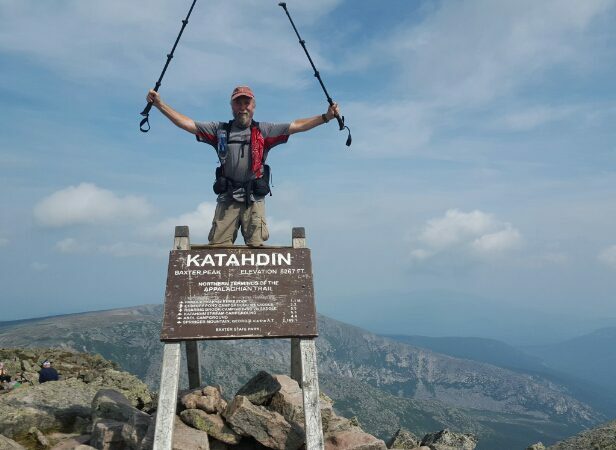 The strenuous climb up Katahdin is a very steep 5.2 miles. It was an exhausting day for Chip and one he described as one of the most difficult days of the whole hike. The night before Chip made the finish line, he wrote, “Some years ago, as her health began to fade, my Grandmother Tillson made me promise that I wouldn’t wait too long in life to travel, see the world, and do the things I wanted to do. Promise kept. Thanks, Grandma, tomorrow is for you.” After the descent off the mountain, the group traveled to Millinocket and rested at a hotel. My heartiest congratulations to Chip Tillson! The weather cooperated, the snow held off, and his joints were strong enough to complete this incredible journey. Unfortunately, Chip did not post any photos in his blog, so I have no victory picture with you. Maybe he will post a final photo in the next few days. If so, I will be sure to pass it along. My final post of this AT season should be submitted in the next few days. I will summaries the hikes that I followed and provide some statistics on the brave adventures of the 11 hikers that I tracked in the class of 2018. Last February, I started following 14 thru-hikers of the Appalachian Trail via their online journals. 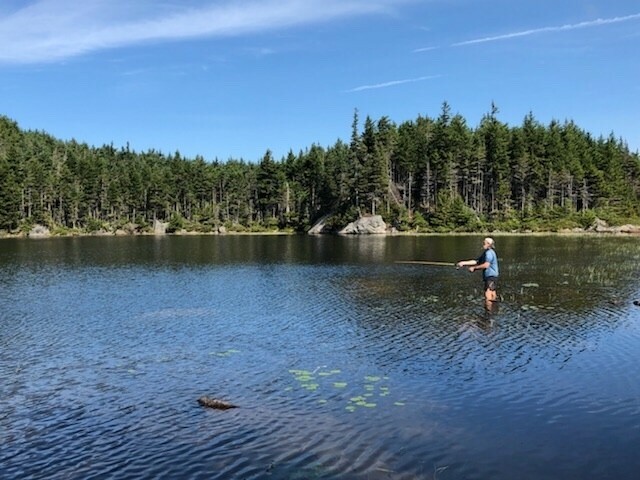 Three have completed the trail (Which Way, Bamadog, and RTK), another has reported climbed Katahdin, but has not reported doing so on his blog, eight have come up short of their adventure and two remain on the trail. One, Opa, returned to the trail on August 29th, after some major physical problems and several weeks at home. 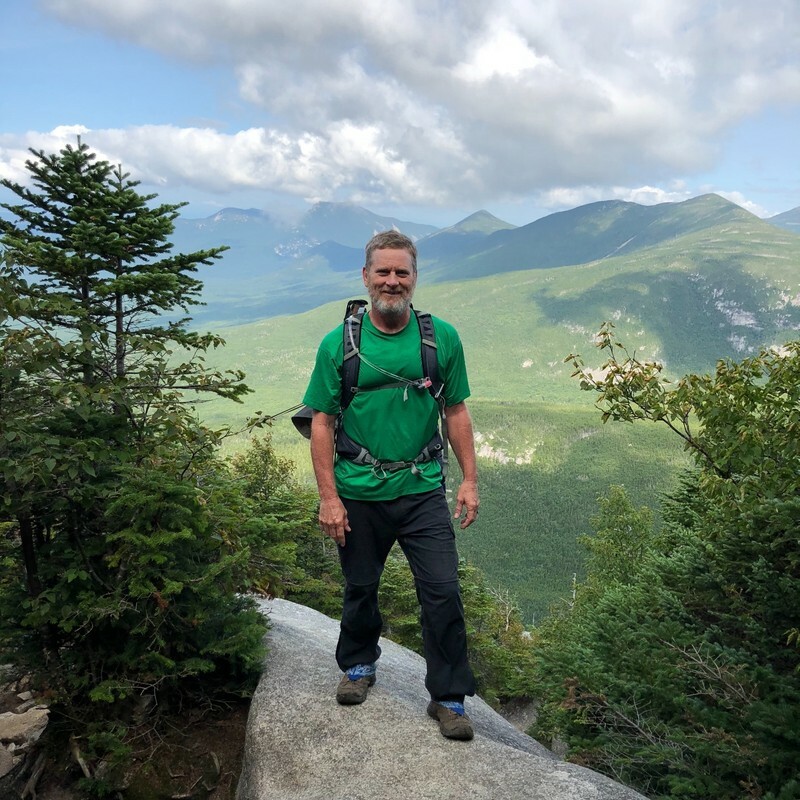 He is hiking SOBO (southbound) after traveling to Maine and moving back toward Vernon, New Jersey, where he left the trail in May. The other, Chip continues to hike NOBO (northbound) racing against time and the coming winter in Maine. My last update was September 9. 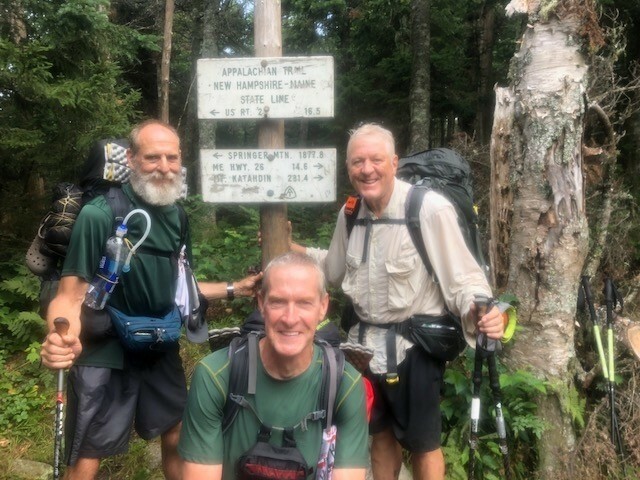 Chip was in Gorham, New Hampshire with 300 miles to go while Opa was in Stratton Maine having hiked 188 miles in 12 days including the 100 Mile Wilderness and the Bigelow Mountains. 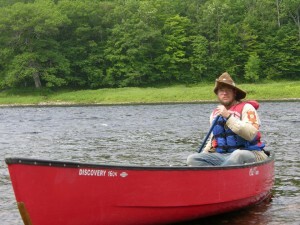 Fast-forward to September 26 and Chip is in Caratunk, Maine, having crossed over the Kennebec River (where hikers are shuttled over in canoes as the official part of the trail, including a white blaze in the canoe). He has 152 miles to Katahdin. This portion of the trail took me ten days to complete. If he can duplicate my pace (which should not be that difficult to accomplish) he should summit Katahdin on October 6. 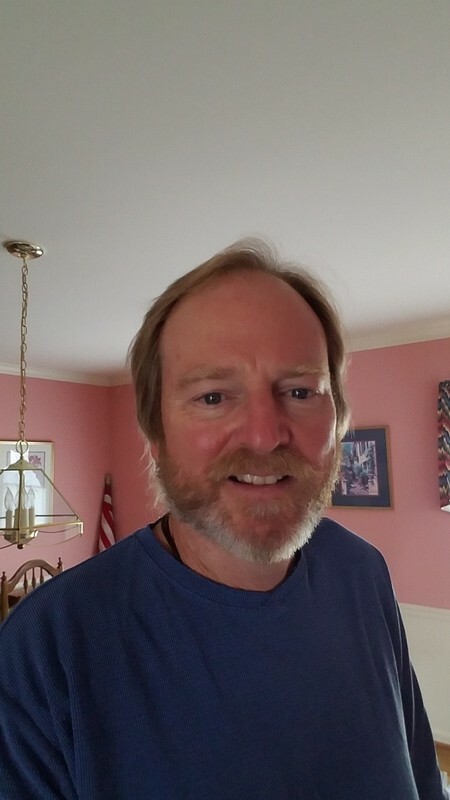 Chip has had some chronic physical injuries throughout his hike including difficulties with his left shoulder due to a fall and knees that have taken a toll over the rugged terrain. He provides some interesting insights into the physical problems still facing him as he progresses toward the finish line. Looks like I’ve contracted Giardia, which comes from a parasite in untreated water. I make it a point to always treat my water, but I have recently had a couple of instances where I was careless. A few days ago I do recall mixing up water bottles, and not being certain which one had been treated. One bottle may have gotten a double dose of AquaMira, and the other no dose. Also, you are supposed to let Parts A and B mix and sit for 5 minutes before adding to the water. 5 minutes can be an eternity when treating 3 bottles, I maybe gave it a minute. Stupid on my part. I started having a bout of mild diarrhea along with an upset stomach a few days ago and didn’t think anything of it, but last nite….. I was up about 6 times trotting to the privy, and when I woke this AM around 8 (very late for me) I was an exhausted wreck. At one point during the day, I literally laid down right on the trail and took a 30-minute nap I was so exhausted. I didn’t eat anything all day, except for a cup of hot chicken broth tonite for dinner. Every step was a struggle. 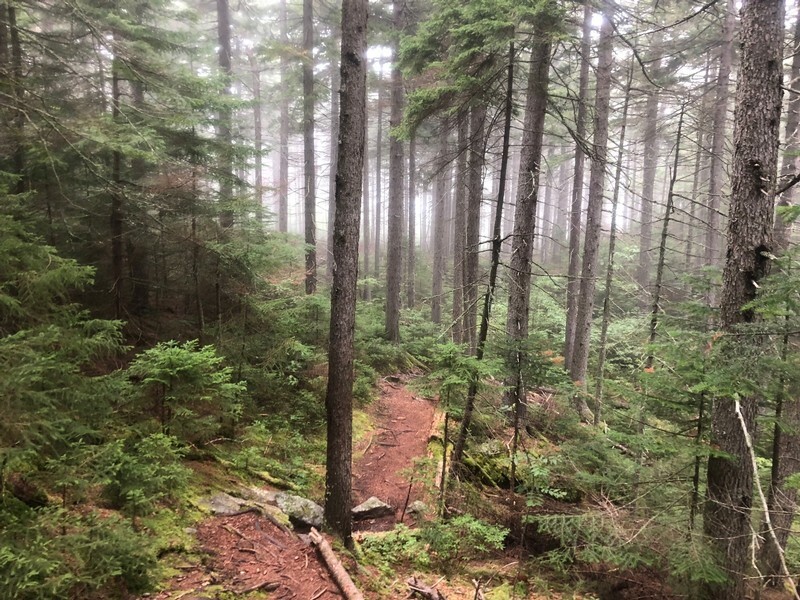 Not to mention that about every 20 minutes I had to go trotting into the woods….. Of course, the trail had no sympathy, on a couple sections, I thought I was back in the Mahoosuc Notch. I kept thinking of bailout options, how to get to a road, but nothing. On the last climb of the day up Mt. Success, I felt so wasted that I was contemplating calling 911 for help. Lo and behold on that climb I ran into a couple of NOBOs, who turned out to be my salvation. Turns out that one was a nurse, and he asked Opa a lot of good questions concluding that he most likely Giardia. He offered some good advice. The other hiker gave Opa some electrolyte pills and some Flagyl pills, which is a prescription drug used to treat Giardia. Opa was able to hike 13 miles the next day and made it into Gorham, NH. He was able to see a doctor who gave hi a prescription for Flagyl and recommended rest for a few days. After zero-days on September 20 and 21, Opa was off again. His next three days averaged 8.7 miles per day, which is not bad through the Whites. 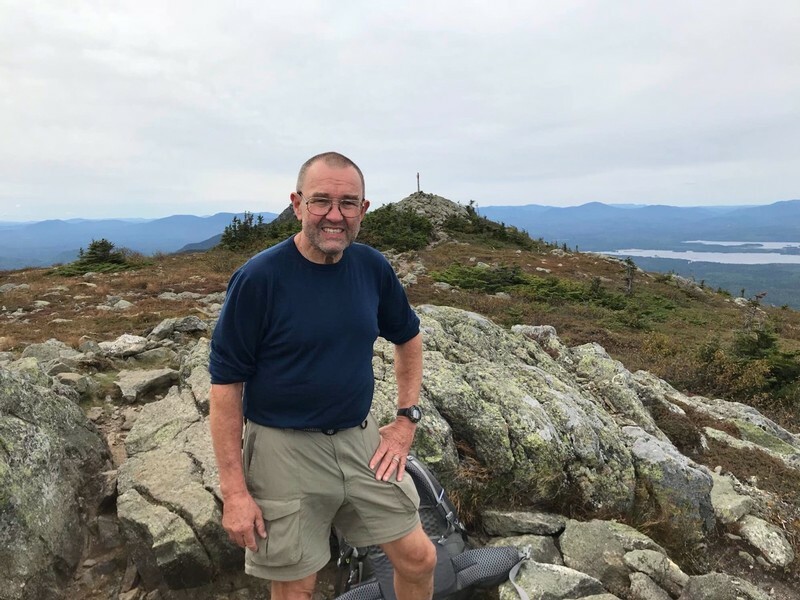 Then on September 26, Opa was hiking over Mount Hight and into Zita Pass in New Hampshire. 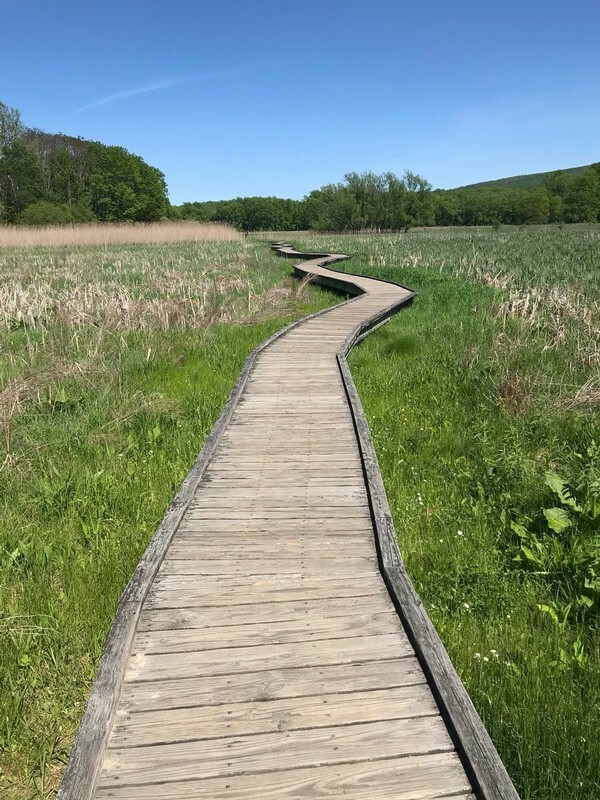 “The day started so promising today, I felt pretty good – except for that incessant C Diff diarrhea which won’t seem to go away and is a real annoyance while on the trail…. Then all of a sudden at Zeta Pass I got very dizzy/lightheaded to the point that I thought I might faint. This happened to me once before since I’ve been on the meds for my C Diff, although not as severe. Anyway, today I tried to regroup and regain my strength, and started up the trail towards the next peak, but there was just no way – I was a wreck. My hike was over, my body was trying to tell me something. Fortunately, there was a 3.6-mile bailout trail at Zeta Pass that took me down to the road. I stumbled on down that trail, going ever so slowly so that I wouldn’t fall (as it was I fell once), then hitched a ride back to the hostel. I have no regrets, I gave it my absolute best shot, but my thru-hike attempt is over. I am very comfortable with my decision. I always told my family, and myself, that I wouldn’t do anything stupid and press on with my hike if that entailed compromising my health. The time has come to get off the trail. I am very sorry to see Opa have to leave the trail again. He was a warrior and should be very proud of his efforts. Occasionally, I check the journals of those thru-hikers of the Appalachian Trail that have gotten off the trail to see if they have updated their online blogs with additional information. Most of the time the journals are absent of an update, but a recent check on Opa revealed that he has returned to the trail. He has traveled to Maine, climbed Mount Katahdin, and is now hiking SOBO (southbound) back toward New Jersey. Opa went off the trail on May 21, 2018, after developing a painful inflammation in the area of the arch on his right foot. 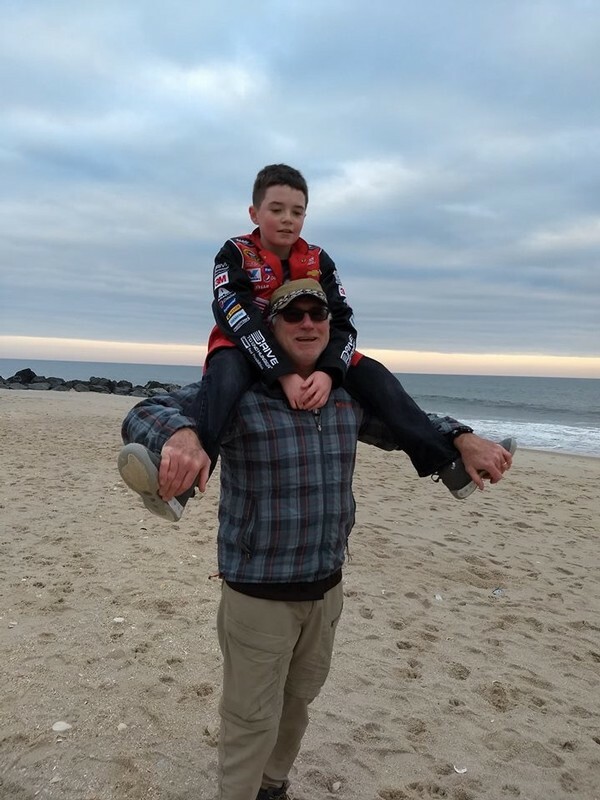 He was in Vernon, New Jersey, and was able to get a ride from his son Eric who lives in nearby Westwood, NJ. After getting some X-rays, it was determined that Opa had a stress fracture on the fifth metatarsal. He was anticipating a fitted boot to help support the foot during the healing process. In addition to the foot, Opa was scheduled for hernia surgery in late June followed by some personal commitments during the summer months. He talked about returning to the trail, but honestly, I thought he would not return during this hiking season. Opa, Reinhard Gsellmeier from Rochester, NY, was one of the strongest hikers I followed this year. He consistently put in high mileage and I thought he would be the first to complete the adventure. I was saddened to hear of his injury that took him from the trail, and I am excited that he has returned. 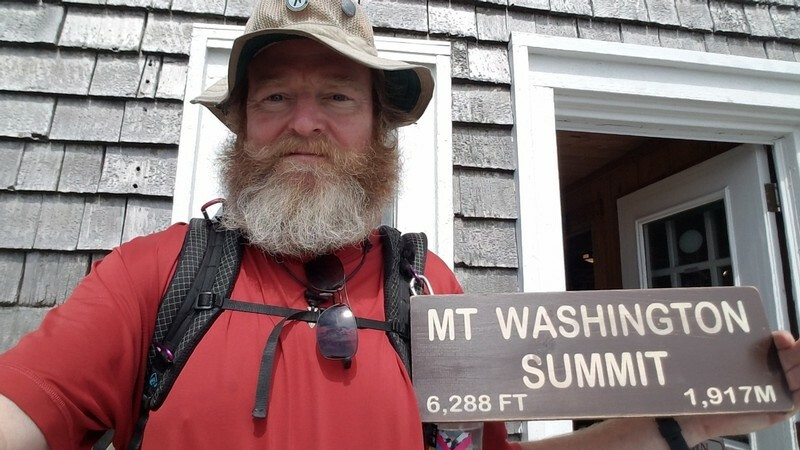 He has about 833 miles to hike to complete his thru-hike of the Appalachian Trail. Opa has not taken a zero-day since his return although the nero-day into Stratton was only 5.1 miles leaving him with some needed rest time to recuperate from his aggressive pace. While resting in Stratton, his journal reflected his need for some R/R. “I decided to take an unplanned NERO in Stratton, in part to give my left heel a little relief with a short mileage day, and in part to get cleaned up and dry out my gear. Am staying in a bunk room at the Stratton Motel and Hostel. Stratton is a small town, but has everything I need within a short walk of the hostel. Laundromat, grocery store and a place to get pizza. Ahhhh, pizza! Guess what I had for dinner! My prayers are with Opa as he attempts to complete his hike in 2018. 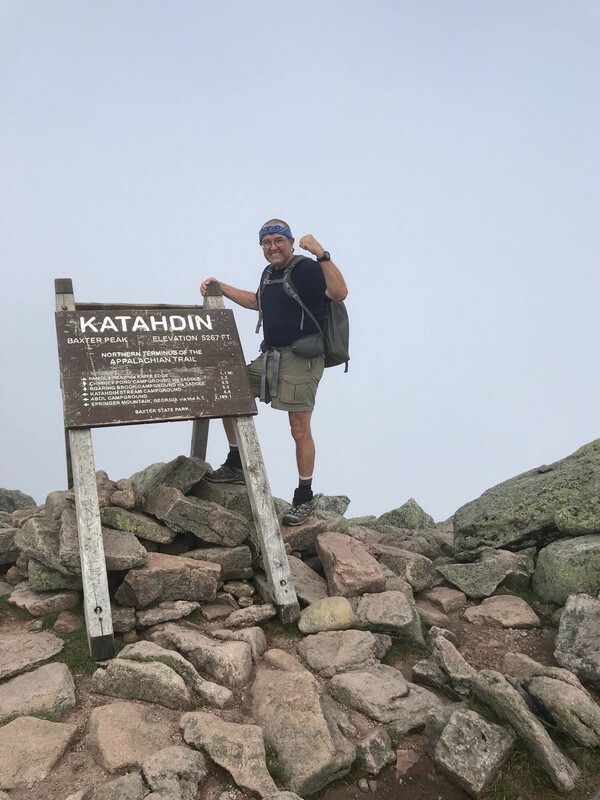 Bruce Matson, RTK, completed his thru-hike of the Appalachian trail on September 1, 2018. Of the fourteen hikers that I followed this hiking season, RTK is only the third person to complete the journey. He left Springer Mountain, Georgia on February 25 and stood beside the big brown sign in Maine on September 1 – 189 days later. Quite a journey through mud, snow, rain, sunshine, incredible vistas, steep descents, rocks, roots, highs and lows. My heartiest congratulations to RTK who officially joins the class of 2018. 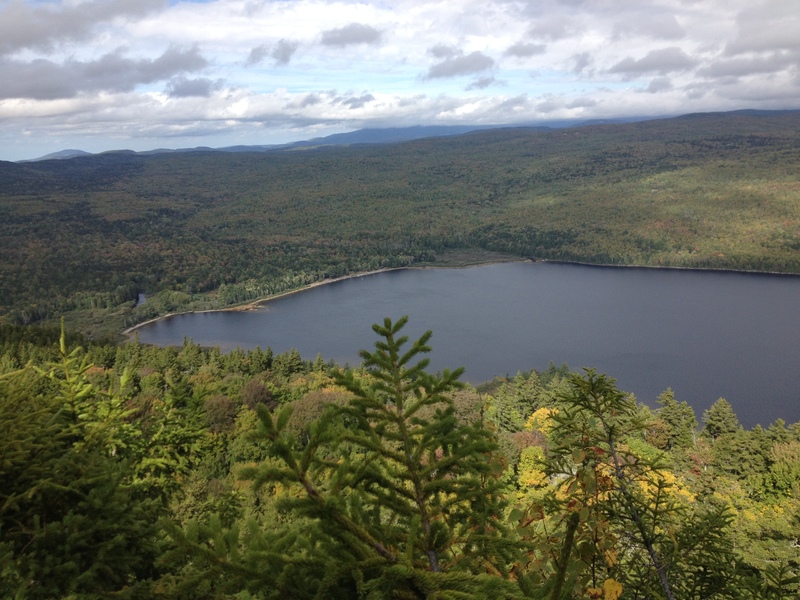 Since entering Maine, RTK had been hiking with Gbolt and Recon. Recon needed to exit the trail due to an injury on August 1, but Gbolt and RTK buddied all the way to Katahdin. I found out that Gbolt is a hiker from the Dayton area. He left for his AT adventure the middle of March, on his 58th birthday. 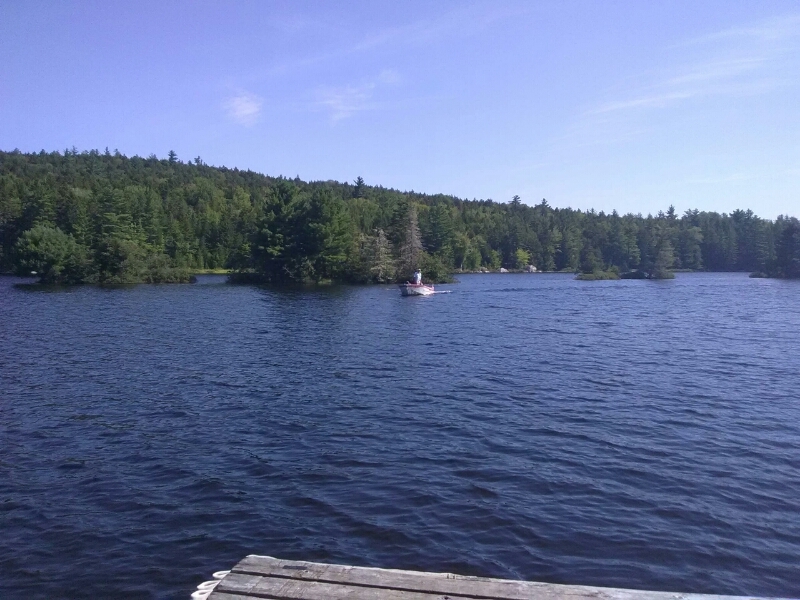 RKT and Gbolt left Monson, Maine, on August 25 and entered the 100-Mile Wilderness. It took them six days to traverse the wilderness and arrive at Abol Bridge. 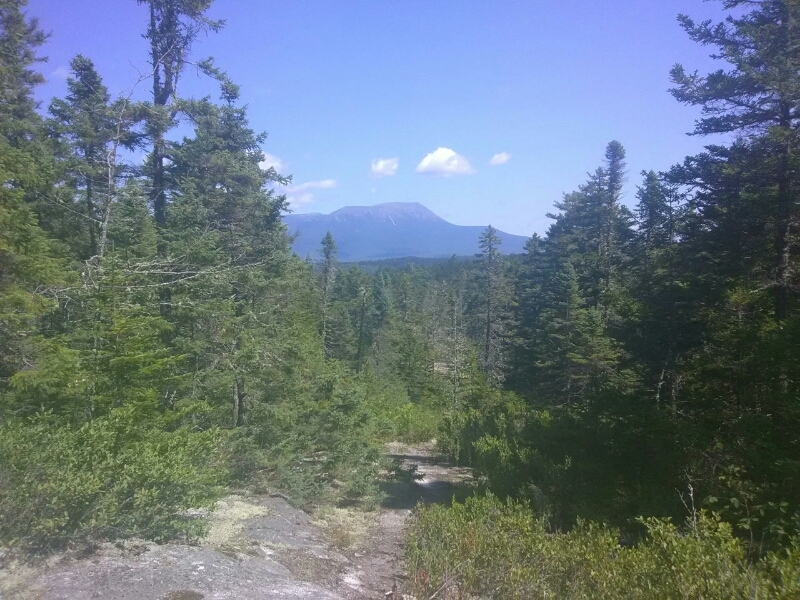 On August 31 they hiked from Abol Bridge to The Birches Campsite in Baxter State Park at the foot of Mount Katahdin. 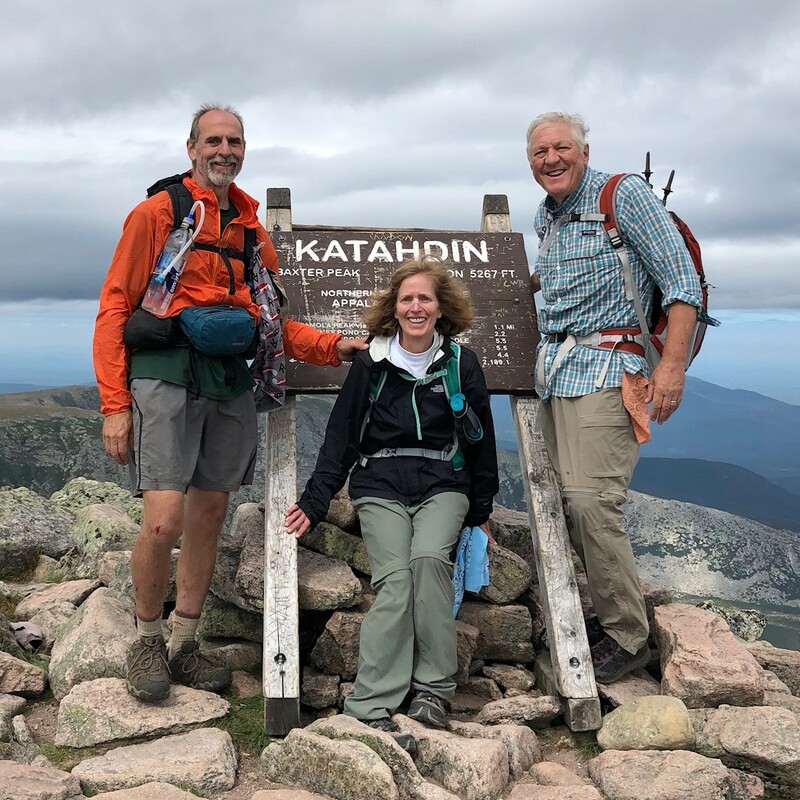 Bruce’s wife, Cheryl, met them at Katahdin Stream Campground about 7:00 in the morning on September 1 and the three of them began their summit at 7:30. 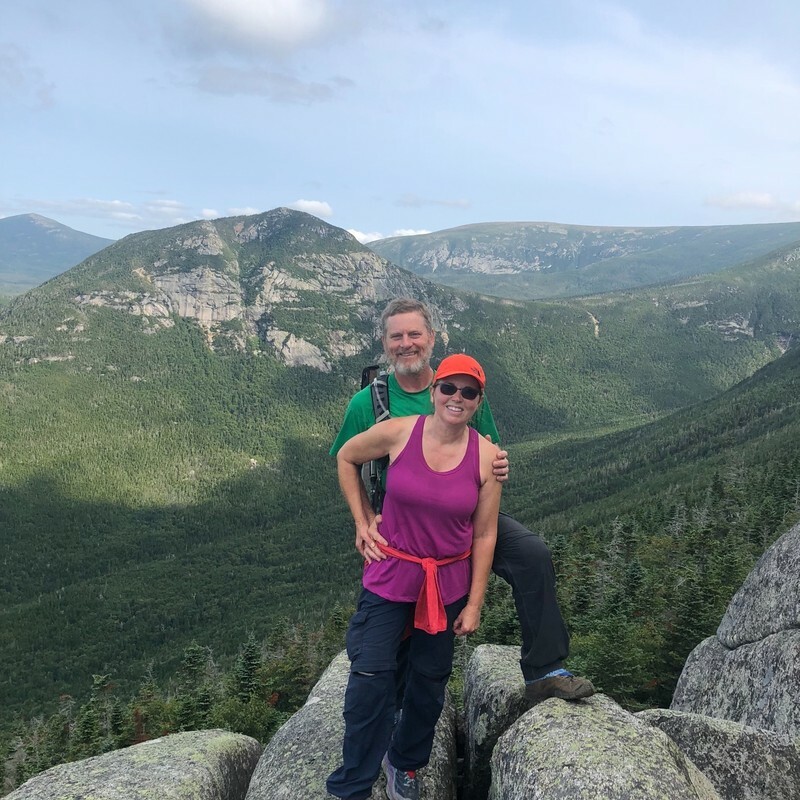 “The hike started on smooth trail with modest incline for a little over a mile until we reached Katahdin Falls (beautiful). The severity of the climb and the rocks increased as we hiked, but we were excited, and the climb did not seem too difficult. After about three miles the trail breaks out of the tree line just as the severity of the climb becomes intense. 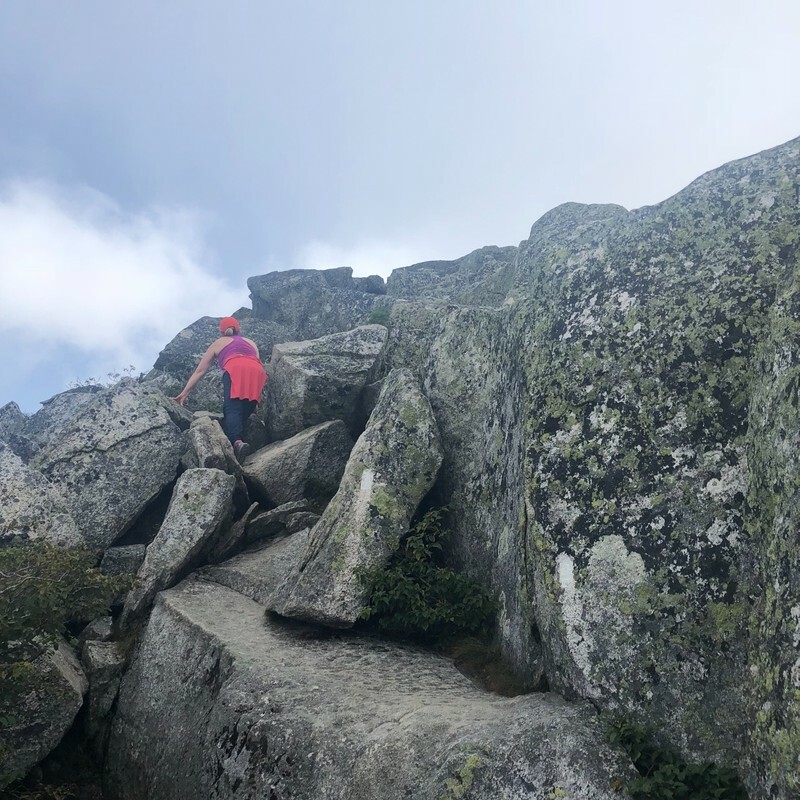 For almost a mile exactly we had little other than climbing up, over, around and through rocks, boulders, ledges and every formation or type of rock – mostly granite. The climb was not technical, but vertical and difficult with some scary maneuvers. We often had to help one another. 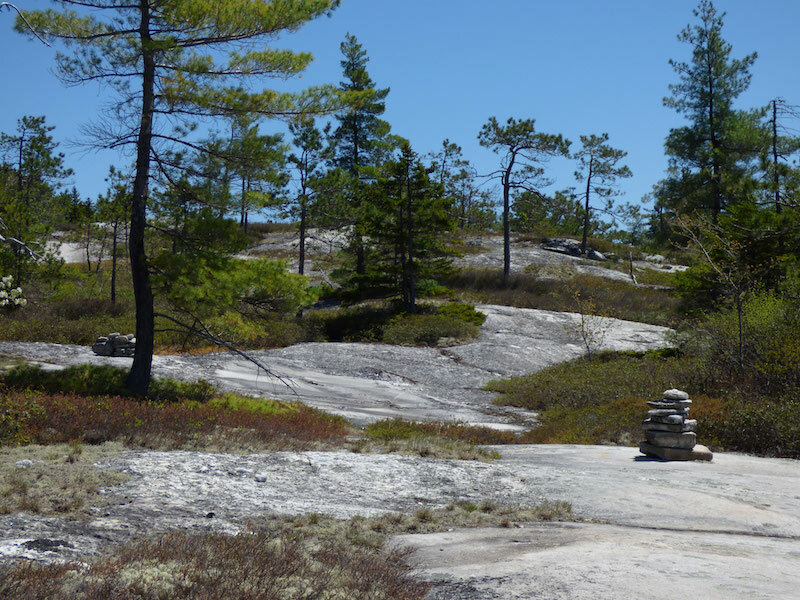 Around noon we reached the “Gateway,” – the start of the (relatively flat) tableland. We could see a congregation of stick figures a mile away at the Katahdin sign. After a half mile we stopped for lunch on some rocks. Then we climb the remaining hill to the summit….. It was 2:00 p.m. and we had to get back down the mountain. We knew that the descent would be more difficult – and therefore would take longer. Eventually, finally, after spending a lot of time on our backsides working down rock slabs we got below tree line. From there it was steep and rocky, but not the intensity of the rocks above the tree line. With less than a mile to go, we lost most light and had to use headlamps and flashlights for the last 20 minutes. We were all thankful and elevated to return safely to the parking lot – having finished the toughest day, yet final day, on the trail. We gathered and gave thanks – and then Cheryl drove us to Millinocket. We dropped Gbolt at the AT Lodge and headed to our motel. Congratulations RTK (and Gbolt) on a successful thru-hike!!! Only 25 out of 100 make the complete journey GA/ME. Of my 14 selected hikers, three have finished the trail, with three more still plugging away. Twenty-five percent of 14 is 3.5 so my 14 brave early starters have an opportunity to be better than average in success rate. The last time I shared an update on the thru-hikers that I am tracking on the Appalachian Trail, two hikers had successfully completed their journey (Next Step and Bamadog), nine were off the trail having to abandon their thru-hike, and three were still on the trail (RTK, Sour Kraut and Chip Tillson) making their way north to Maine. Bamadog reported seeing Sour Kraut on the summit of Mount Katahdin, the northern terminus of the Appalachian Trail, but Sour Kraut has not updated his journal since August 22nd. I am still awaiting his victory picture, although he might forget to complete his diary even though he has completed his journey. RTK has recorded his progress a week in arrears from the very beginning of his trek. His last post, August 24th, found him in Monson, Maine about to enter the 100-Mile Wilderness. He has had 15 days to hike 114 miles, so unless he has experienced an injury, he has completed his hike as well. 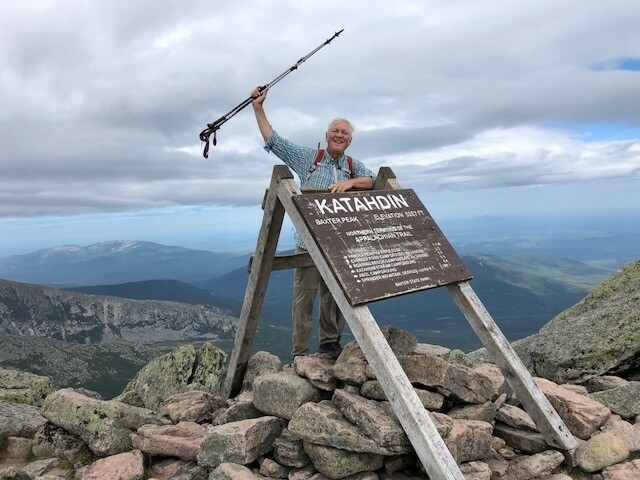 Why RTK has not posted his photo from Katahdin, I don’t know, but I will let you know when he does. Chip has 298 miles to go and at the current pace, he will be hiking for another 34 days. Finishing a thru-hike during the first 10 days of October is risky because Mount Katahdin often receives a winter’s blast with a generous snowfall before mid-October. Freezing winds and ice can make a climb to the mountain’s summit impossible. September 8 marks day 201 for Chip on his thru-hike adventure having started his trek on February 20th. I pray he uses wisdom in his decision-making concerning his knees and the weather ahead. I will continue to check his journal daily and keep you posted as he completes his hike. 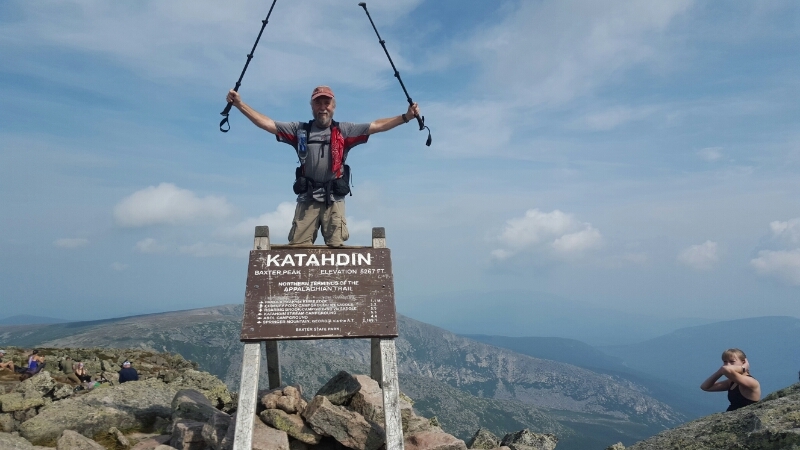 On August 25, 2018 Bamadog, Martin Dockings from Alabama at 61-years-old, earned the title of Thru-Hiker of the Appalachian Trail, class of 2018. Martin is married and has two sons, both of whom served in the military. Bamadog began his adventure on February 15th, after retiring from his career of 39 years. His adventure took him 192 days involving 7 different months (from February to August). That is a long time. Well, Bamadog did return to the trail after three weeks of recovery. He started where he left off at Franconia Notch in New Hampshire on July 22. He trekked through the last two states (the two most difficult states of New Hampshire and Maine) in 34 days covering 375 miles. During his last five days on the trail he enjoyed his final miles of this incredible journey. 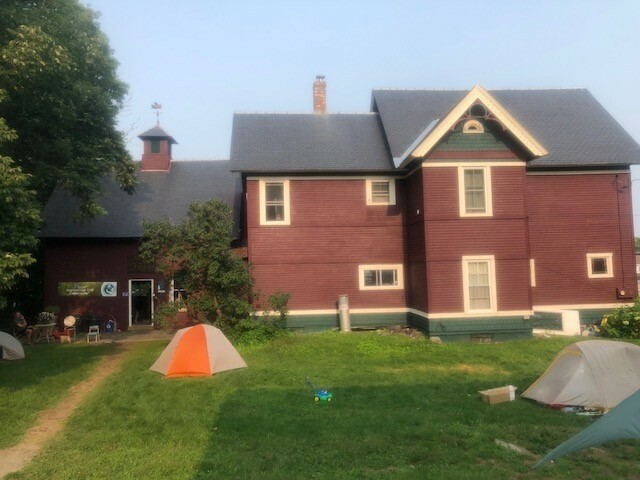 He arrived at White House Landing on August 21st, the only place along the 100 Mile Wilderness for a hostel rest, food drop, and a comfortable bed. The White House Landing is about 45 miles from Mount Katahdin 30 miles to the end of the 100-Mile Wilderness. Bamadog let the White House Landing about 8:30 on Wednesday, August 22nd and hiked 15.6 miles ending up at the Rainbow Stream Lean-to. The trail was rocky and rooty (as it is almost throughout the state of Maine). He encountered some around noon that remained with him most of the afternoon making the trail rather slick. Before leaving Abol Bridge on Friday morning, he had a nice breakfast at the restaurant. 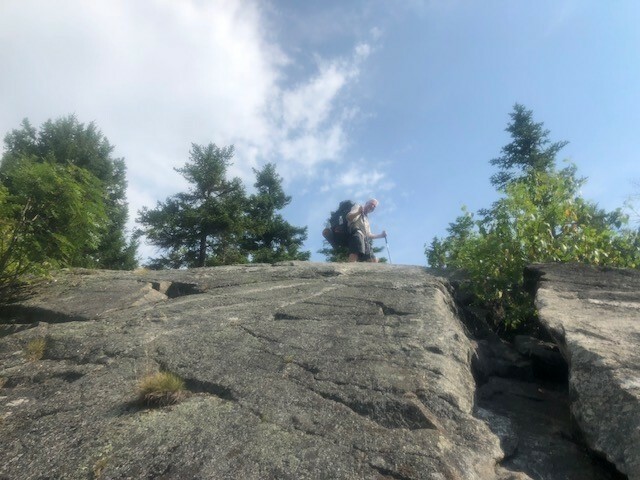 He then hit the trail heading down the AT for 10 miles with the destination of The Birches Lean-tos in the Katahdin Stream Campsite. He arrived at 12:20 and too a nice long afternoon nap. Bamadog got up early on Saturday, August 25th with his eyes set on the summit of Mount Katahdin. The weather was excellent for the climb and he was kissing the big brown sign at 10:45. He hiked down off the mountain via the Abol trail and met a nice lady and her son who picked him up and took him to the Ranger Station to pick up his gear. At the Ranger Station, a fellow hiker offered him a ride into Millinocket where Bamadog spent the last night of his thru-hike experience at the AT Lodge. He planned to start his flight home 9:00 am on Sunday. I offer my toast to Bamadog for a hike of diligence and determination. May he enjoy the trip home and some great days ahead with his family. May he also reflect back on his adventure with fantastic memories of the faithful of God in his life.